ConvertAll is a handy unit converter. It has many great features including easy unit selection and ability to combine over 400 units for conversions. Updated the Russian GUI and unit translation. The link has been updated to the website itself. For apps where the download link changes with each version, you're not supposed to direct link to the download (part of the PFC guidelines on the page: "Do not enter the direct URL to the file if the filename is version dependent, or the author forbids external links. For such cases, enter the URL to the download page instead.") Otherwise, you get the old version when the app has been updated but the PFC listing has not. I think that ConvertAll installer can easily be extracted and there is no need to use the PortableApps ConvertAll version. 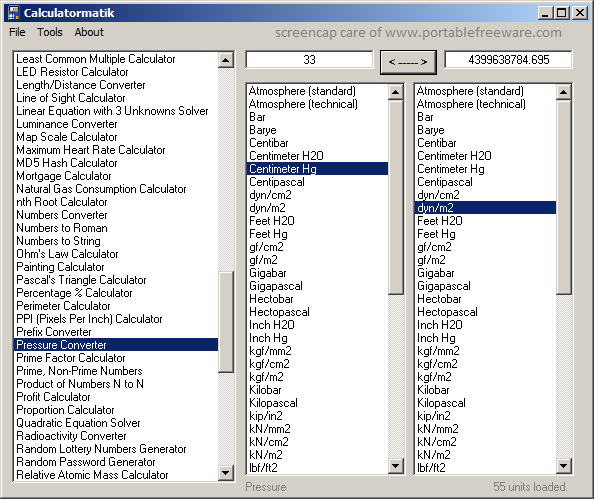 Easy Unit Converter converts between about fifty commonly used measure units: kilometers, meters, miles, light years, yards, feet, inches, acres, hectares, feet, barrels, gallons, quarts, liters, carats, ounces, pints, pounds etc. 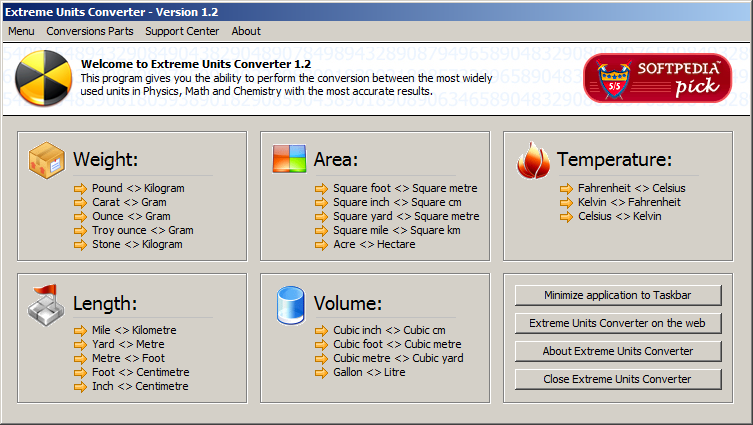 The latest version of Easy Unit Converter is 1.21. I do not think that Easy Unit Converter should be installed first since it can simply be extracted. 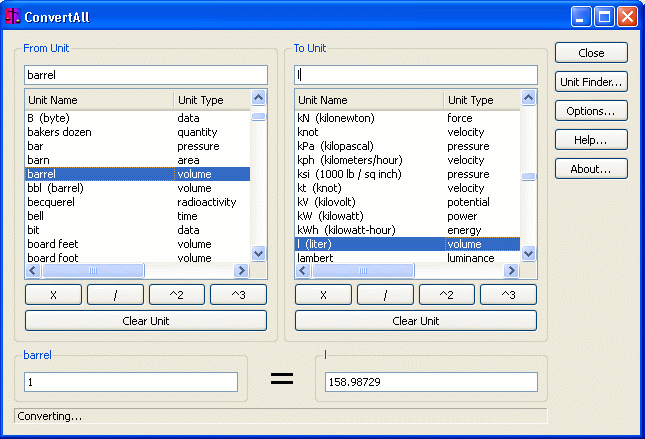 Free Unit Converter converts over 5000 units of measure from one unit to another, including weight, length, volume, area, temperature, speed etc. How to extract: Download the EXE to a folder of your choice. Launch free_converter.exe. The latest version of Free Unit Converter is 2.11. 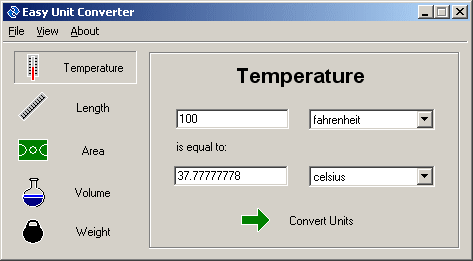 Extreme Units Converter performs conversion between common units of weight, length, area, volume and temperature. A total of 22 conversion functions are provided. Quite good looking but I think copy-and-paste is a prerequisite for a unit-converter program and yet CAP didn't work for me on Win8. I just saw Onesimus' note about Softpedia. I've updated the entry to point to his link.